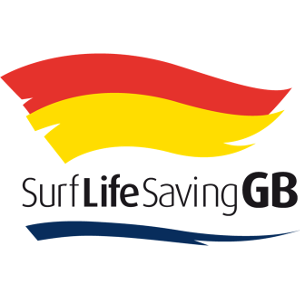 The Surf Life Saving Association of Great Britain was founded in 1955 and was a founder member of WLS. Surf Life Saving is an exciting and healthy recreational activity that embodies voluntary public service. It helps people to reach high standards of physical fitness, swimming ability and life saving skills. It is a water sport that involves the use of boards, skis and boats. It involves competition for members of all age groups as individuals and as members of teams. Advise people how to avoid getting into danger in the water. React sensibly to emergencies, effect necessary rescues and administer the required first aid. Take part in Surf Life Saving Competitions and Championships for which relevant proficiency awards are generally a pre-requisite. To provide a safe and enjoyable environment on our beaches. To promote, improve and control the work of life saving, resuscitation and first aid on all beaches in Great Britain. To provide facilities for young people to participate in organised life saving as a voluntary, vital public service and in beach and water sports for enjoyment and recreation and also to encourage the high standards of teamwork and responsibility in both activities. To promote and improve national and international standards of water safety. To develop and improve beach life saving methods and equipment. To establish and monitor nationally and internationally recognised qualifications in beach life saving, resuscitation and first aid. To cooperate with all organisations with similar aims.